Light of depth, heavy of charm, indefinably good. fter losing several hours to PopCap's latest release, I find myself struggling to find enough superlatives to relate just how good this game is — perhaps Bookworm Adventures Volume 2 has stretched my vocabulary muscles a little too hard. Combining simple grid based wordplay with an RPG styled user interface, players take on the role of Lex the Bookworm as he tracks down literary absconders from his library. The simple execution of both the story and characters — light of depth, heavy of charm — allows the Scrabble-esque word game to excel within its somewhat conservative structure. minds and advanced puzzle fans.Lex encounters several battle situations during each of the games three expansive volumes, set within a traditional, turn-based RPG layout. Words created from the randomly generated tile set do damage to the enemy, and the longer the word, the more health points are removed. The RPG theme is accentuated with bonus items, party members and cleverly designed augmentations, adding immersion to a potentially benign experience. Picking away at the 16-tile grid is an unassuming yet highly addictive challenge, one that will suit both younger minds and more advanced puzzle fans, and regardless of relative ability, the game will always give the right tools to succeed and also enough encouragement where it is needed. It can prove to be more frustrating for perfectionists, but the anguish of falling one consonant short of your extravagant winning move leads to the enticing promise of exacting revenge against the next storybook enemy to foolishly fall in to your path. As the game progresses, its learning curve and difficulty level rises with subtlety. Enemies will take increasing amounts of combinations to defeat, and the game slowly introduces new obstacles, such as time-locked letters to maintain a solid sense of progression. The two-dimensional visuals lack flair, but are effective enough to convey a believable and fun world, and the fairytale references will provide ample opportunity for children to allow themselves to become interested in the game, while the adventure themes and battle layout will serve to capture their attention while exercising their brain. Naturally, it's great fun for adults too, so expect workplace productivity to take a slide in the coming months. Word games are an ever-present staple of casual play, the market place flooded with many similarly entertaining puzzlers. 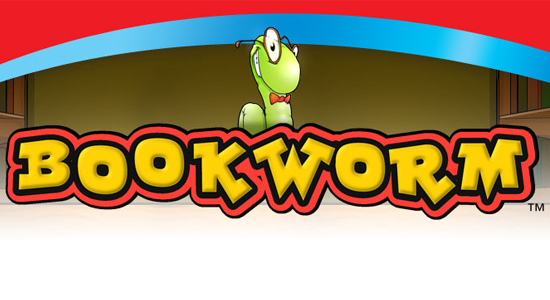 What sets Bookworm Adventures Volume 2 apart is the continuation of PopCap's indefinable ability to make the most basic of interactions truly pleasurable. Just as its predecessors, this will be a title that players will return to frequently, almost subliminally; such is its compelling and addictive nature.